Egyptian alchemy and Sufism, with a coherent explanation of fundamentals and practices. 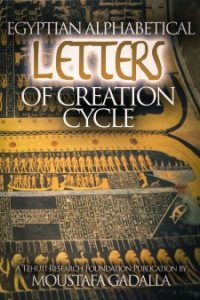 This new expanded edition explains how Ancient Egypt is the origin of alchemy and present-day Sufism and how the mystics of Egypt camouflage their practices with a thin layer of Islam. 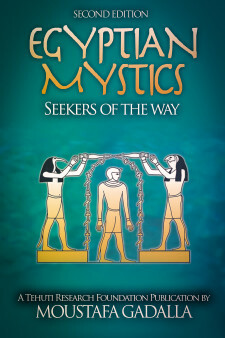 The book also explains the progression of the mystical Way towards enlightenment, offering a coherent explanation of its fundamentals and practices. 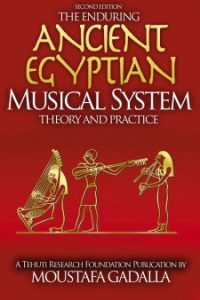 It includes details of basic training practices; samples of Ancient Present Egyptian festivals; discussion of the role of Isis as the ‘Model Philosopher’.It shows the correspondence between the Ancient Egyptian calendar of events and the cosmic cycles of the universe; and other related miscellaneous items. This New Expanded Edition of the book is divided into four parts containing a total of 13 chapters and five appendices. Chapter 1: Egyptian Mysticism and Islamized Sufism will cover the differences between dogmatic and mystical routes and how ancient Egypt is the source of Sufism and alchemy. Chapter 2: The Treasure Within will cover the limitations of humans organ of perceptions and how to find realities with such limitations. Chapter 3: The Alchemist Way will cover the source of alchemy as being from Ancient Egypt; the progression along the alchemist way; and the role of a guide in the process. Chapter 4: The Purification Process will cover both outer and inner purifications through the process of living in the world. Chapter 5: Basic Practices will cover general practices by the Egyptian mystics to increase their awareness of the real world. Chapter 6: The Way to Revelations will cover the methods by which a mystical aspirant can find knowledge through revelations. Chapter 7: The Heavenly Helpers will cover the role and duty of those who attained supernatural powers, to help others on Earth. Chapter 8: The Cyclical Renewal Festivals will cover the importance of holding and participating in annual festivals. Chapter 9: Samples of Ancient-Present Festivals will cover about a dozen annual ancient Egyptian festivals and how many of them are very familiar and are being observed throughout the Western world. 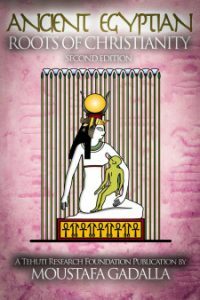 Chapter 11: Egyptian Themes of Saint’s Nick Traditional Festivities will offer a comparison between the commonly known Saint Nick’s Christmas traditions and the typical Ancient Egyptian festival of a folk-saint. Part IV: Come One Come All has two chapters—12 through 13. Chapter 12: Fellowship Formations covers the general structure and practices to form/participate in a mystical fellowship. 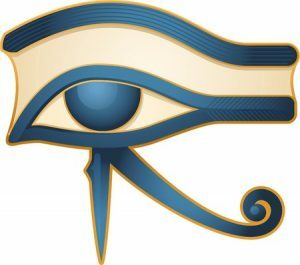 Chapter 13: Isis —The Model Philosopher covers the principles and practices of Sufism as found in the Ancient Egyptian allegory of Isis and Osiris.